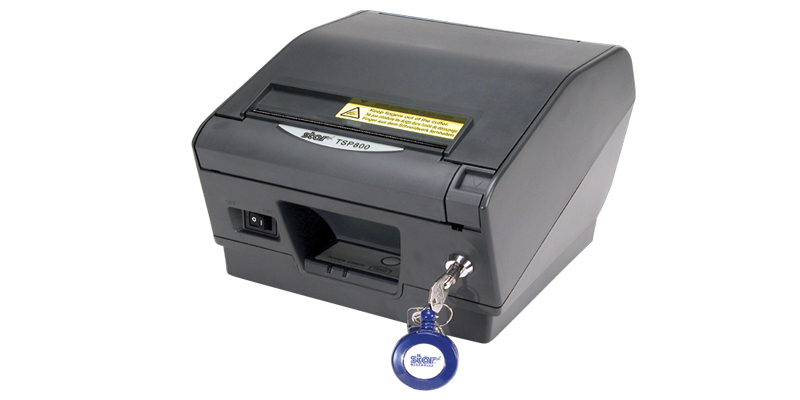 Star Micronics has the solution to print thermal prescriptions using the secured locking TSP847IIRx Printer. Answering the requests from Hospitals and Physicians to efficiently automate the prescription process and make it simple is the cure from Star. The Secured TSP847IIRx printer enables doctors to print thermal prescriptions vs. handwritten prescriptions from a pad avoiding legibility errors. 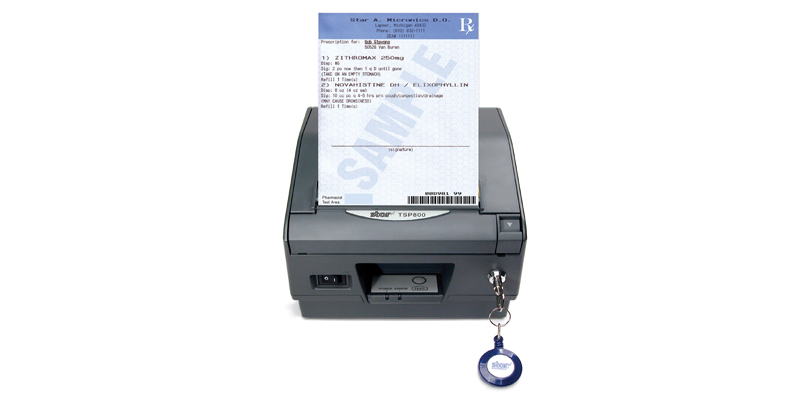 Utilizing specialized and secured thermal prescription paper, the prescriptions are printed using the latest electronic medical record (EMR) software in the industry, resulting in a secured legible script in seconds. No more messy ribbon replacements! 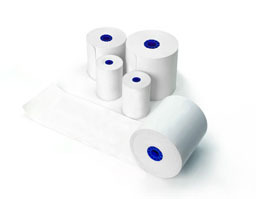 The Secured TSP847IIRx features simple and easy "Drop-In" secured thermal prescription paper, the sole consumable. 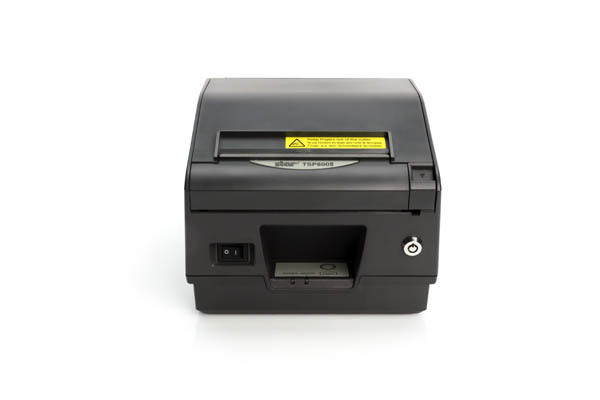 The Secured TSP847IIRx prints faster than a laser printer, produces output that is clearer than an inkjet printer and is smaller than a shoe box so it is a true space saver. 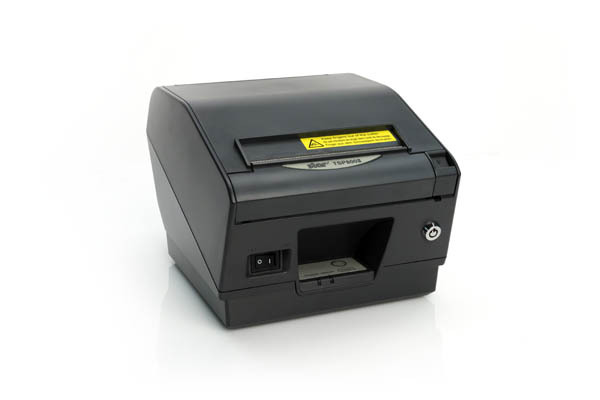 In addition, the Secured TSP847IIRx will only print what you need, saving you time and money with your printer consumables. 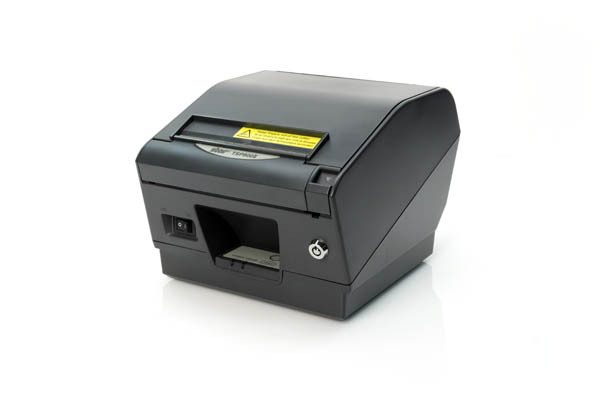 The TSP847IIRx BTi includes the ability to print receipts or data from a web browser-based application running on a mobile device wirelessly by configuring Star's WebPRNT Browser. 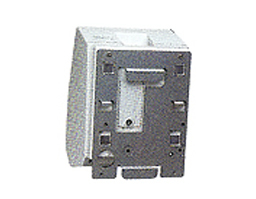 Once configured, the user simply pairs their mobile device to the TSP847IIRx BTi, open the application on WebPRNT Browser and prints from the application. Equipped with Apple MFi certified Bluetooth, Star's TSP847IIRx BTi offers even more flexibility to medical practitioners and facilities. The TSP847IIRx BTi is compatible with iDevices such as iPad®, iPhone®, and iPod Touch® as well as all Android and Windows devices. Wireless secure prescription printing adds value and utility to practices and hospitals utilizing mobile/ portable medical workstations. Print One Script At a Time Print only what is needed and save paper cost and waste. Desktop printers require A4 paper with 4 scripts per page. If a doctor needs to print only one prescription, the desktop printer will provide three blank, unusable scripts which wastes valuable script paper.